6am lahaina side coming in at knee to waist high with occasionally bigger sets. Ukumehame is windy. Double south shore session yesterday for me, second one on a short board at Thousand Peaks, which I rarely do over there. But, as you can see from the photo/video below, it was really fun. I love tapping into those light offshore conditions. If it happens to you too, know that it's not gonna last long (might turn 30 knots offshore anytime), so enjoy every single minute of them. Here's the wave I took the photo from. 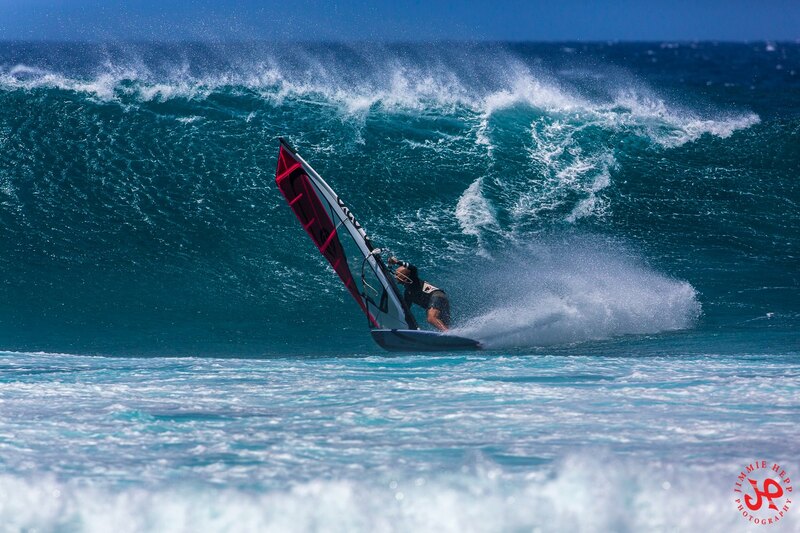 Here's my Jimmie Hepp's photo of the day from this gallery documenting another intense day of windsurfing action at Hookipa. Kai Lenny announced on his facebook page (and I'm sure in a bunch of other places) that he just completed his first Big Island to Maui crossing on a foil. 50 miles foiling. Unlike the photo, the page has some footage showing that the crossing was made on a SUP board. Or with a paddle, at least. Doesn't really matter, he's pumping most of the time. As weird as it may sound, next time I see him, I'll ask him to show me his quad muscles. Nice 14s reading, there should be waves also today. The shorter periods might introduce some disturbances, but fortunately they're much smaller. 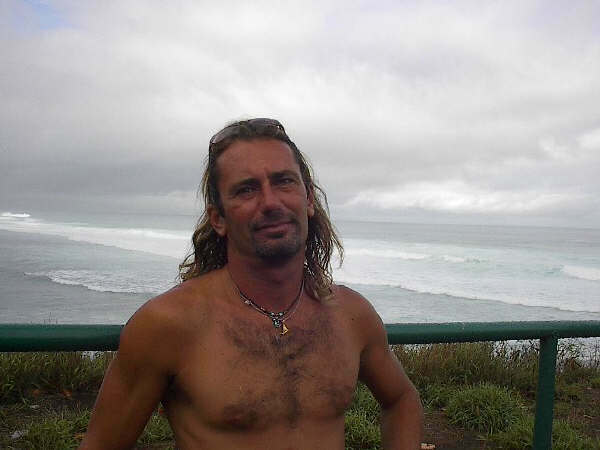 Check the webcams and my beach report, I'm gonna leave in the dark. 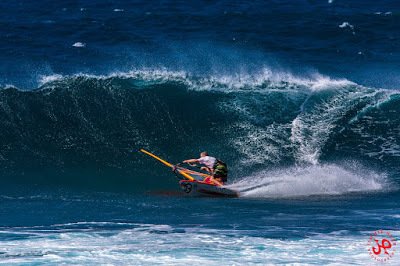 No interest in blown out Hookipa these days, if there's cleaner alternatives. Below are the graphs of the four reported buoys. I put two red arrows on NW101's one to indicate the sharp rise from 1f to 12f in 12h. One foot an hour can be definitely called a sharp rise. I circled the rises at Hanalei and Waimea (this last one, according to Pat Caldwell, shouldn't be blocked by Kauai). Check the Surfline Pipeline webcam if you want to see some bombs. Might be one of the sessions of the winter, thanks to the easterly, offshore winds. According to GP's rule of thumb 16h @16s +/-1 and viceversa, at 20s a swell takes about 12h to get from the NW buoys to Maui. The rise I pointed out was from noon to midnight and in fact we see the first readings locally about midnight. Even though the actual dominant direction is not as west as the previous swell (hence, not as blocked), my intuition (and the analysis of the fetch history below) tells me to still expect less size and a less steep rise locally. The WW3 output is even more conservative calling for the first 1f 21s reading at 9am (kinda wrong already), and for the peak to happen after midnight at 8f 16s. It does seem that instead it's gonna happen sooner than that, but I wouldn't expect much at all in the early morning. IMO, the rise will be most noticeable in the afternoon. 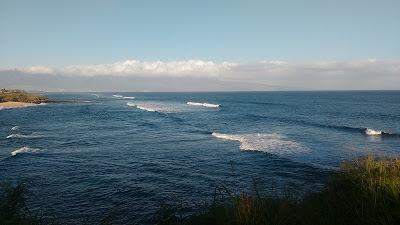 Hookipa should be fairly small at dawn with only 2.6f 12 leftover from the previous long lasting swell + windswell. The collage of the wind maps below (from the left, March 27, 28, 29 and 30) shows that the storm started in front of the souther half of Japan, just like the previous one. It then moved closer to us and a little more north, so I expect this swell to be long lasting too: all the way into Wednesday, when a fresh new NW swell is forecasted to peak at 7f 14 from 332 at 2pm. 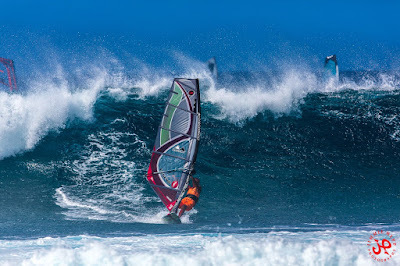 The iWindsurf Hookipa sensor reads 8 (5-12)mph at 5am and the forecast is for another strong/gusty easterly trades day. Check the MC2km maps when they get updated. Some clouds and a little rain brought by the wind, but overall it should be another gorgeous day. 6am Ukumehame is waist to occasionally chest high , clean with light variable wind. In the next days I'll be very busy between work, preparation for trip departure and liver flush, so yesterday I decided not to worry about any of the above and just fully enjoy another drop dead gorgeous day in Maui. I drove all over the island (which I absolutely love doing, specially when the light is like these days), surfed 4 different spots and just loved life. None of the sessions was particularly worth mentioning from the surfing point of view, but they were all equally enjoyable just because... they were surf sessions in Maui! 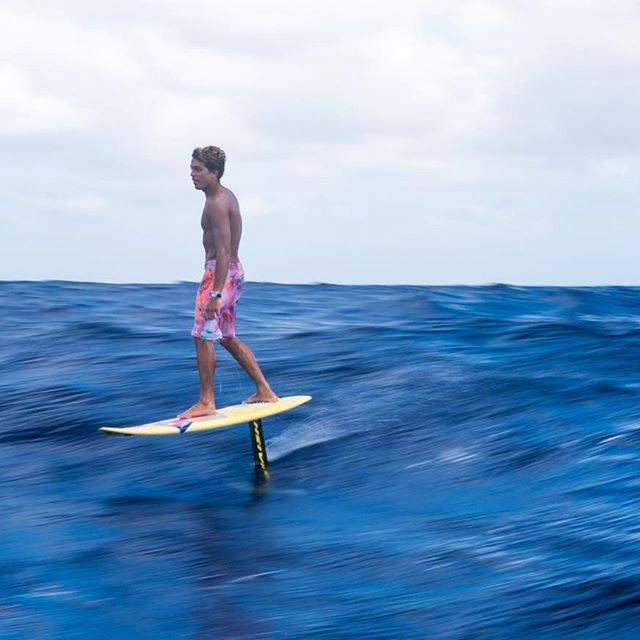 Something that most surfers in the world won't ever have the pleasure of experiencing. Often we forget how lucky we are to live in such a gorgeous place. Take Honolua for example. It was tiny, with a waist high set every 20-30 minutes, but I bet there's plenty people in the world that would have loved to be out there. The water was incredibly clear and you could see the reef through it, which I did from the nose of my longboard on that single perfect small wave I caught. I'm having a love affair with small waves lately. 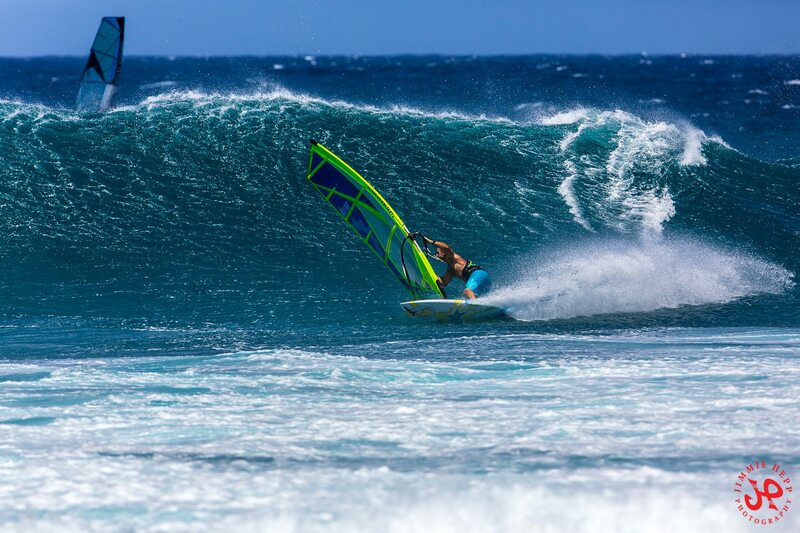 In the afternoon, as usual when the trades are blowing, the windsurfers hit the waves at Hookipa and this is a photo by Jimmie Hepp from this gallery. It's been a pretty amazing streak of sideoff gusty windy days and I almost feel sore for those guys. One of the reasons I'm not attracted by windsurfing anymore (at least with strong wind), is how taxing it is for your body (compared to surfing, at least). But most of the sailors are younger than me, they can handle. Interesting readings at the Lanai buoys, let's dig in to them. 2) this is the tenacious and stubborn westerly wrap on its last breath of life. It started Sunday, that's five days. Thanks a lot, I surfed it ever single day. b) the swell is actually not the one forecasted. Below is the map of March 24 that shows a small fetch in the Tasman sea that could (specially if the winds were a bit stronger in reality) be the one that generated it. Fetch n.2 is much stronger, but also more far away and that more southerly pulse should start arriving tomorrow. In the end, who cares (other than me, I mean), check the webcams to see what size we're talking about. Below is the graph of the four reported buoys. Hanalei has the biggest number of this pulse of a very long lasting swell. In Maui the increase wasn't as noticeable (as I wrongly predicted), because it happened after dark (red circle in the Pauwela graph). 4.3f 14s (plus everything else you see in the readings) will provide more overhead waves all day to play with. No sign of the new large WNW swell, which will hit Friday and so we'll talk about it tomorrow. No beach report today, I have a work appointment at 6am. Woodie is back to work, but no updated at this time, so check the MC2km maps later for the most reliable wind forecast. I psoted the HRW model yesterday, today it looks just the same, so another strong and gusty easterly trades day. Hookipa sensor shows 4(2-8)mph from 101 at 5.20am, but I feel stronger gusts outside my window. Another stunner is on its way. I found this video yesterday. 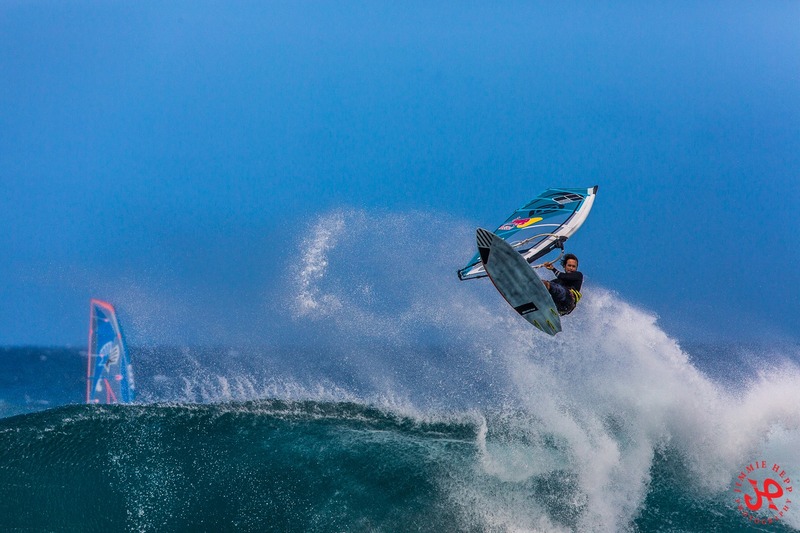 Sunday March 26 was the first and biggest day of this powerful WNW swell and that's how Mason Ho utilized its power at Pipeline. 8am if you like nose riding, launiupoko is a 10. 6am hookipa looks still solid head high in the darkness. Too dark for the photo and the score. Couple of surf sessions yesterday, a spot in the neighborhood was going off in the afternoon (I gave it a 9). Here's a couple of photos by Jimmie Hepp from this gallery. Easterly trades don't bring as much rain as ENE trades, the light is perfect and Jimmie is a happy camper these days. More westerly wrap, there should still be waves in Kihei and Lahaina. Most days I write my call and don't have much time to review it because I'm off to surfing, of course. Yesterday I didn't quite like the way I illustrated the wrap of westerly swells, so here's a better explanation. The second illustration was what was missing. The map below shows that any westerly swell that comes from more north than 286 will be blocked by Ni'iahu. Once a WNW swell makes it to the channel between Molokai and Lanai, the range to hit Lahaina is 283 to 290. But straight lines are not a correct representation of reality. Waves refract around not only emerged lands, but also submerged ones too, as long as they are shallow enough (the longer the period, the deeper the waves will feel the bottom), so those angles I calculated are just an indication. If they're more west than 286, as long as they're big/long period enough, some swells might also hit the Lahaina side by either wrapping around the north or the south tip of Lanai or both. Below is an illustration of what I think a straight west swell would do. See that last swell line I drew hitting Ukumehame (big red arrow)? That's exactly the direction the sets were coming from yesterday. The west peaks were 1.5 times bigger than the east ones and it was all about the rights. And these are the angles the swell needs to have to hit directly (or the ones it will have after the refraction over Lanai). Both NW buoys went back up, below is the graph of NW001 (which shows better the increment in size and period, circled in red), Waimea (which already feels a bit of the increase, circled in red) and Pauwela (which instead still has to feel it). Also, notice how much more from a NW direction (as opposed to WNW) the new pulse is, which means Maui's north shore is not going to be as blocked as it was in the first days of this powerful swell. So the morning will start with moderate sizes (4f 13s), but there will be a noticeable increase throughout the day. MC2km maps still stuck at Sunday (Woodie, the notorious big red UPDATE button technician must be sick), here's the HRW model from the Windguru page that shows another day of strong easterly trades. Tomorrow looks just the same. 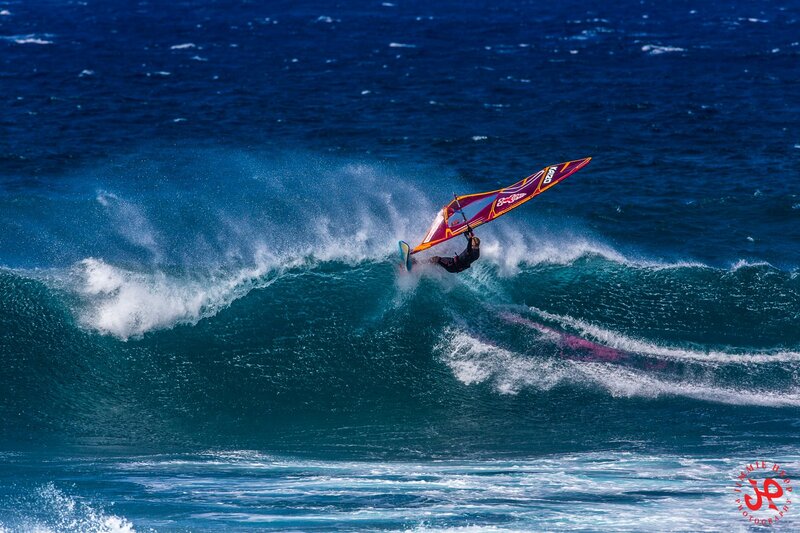 The iWindsurf Hookipa sensor shows 6(3-11)mph from 107 at 4.20am, so not too bad at all for the early morning session. Some clouds, but nothing major. Should be another stunning day. 1) the fetch of Friday's swell that Surfline forecasts to peak at 11.6f 16s from 312 at 8pm. 2) this one will make waves that will never make it to us, but they're going to hit Margaret River instead where contest n.2 of the WSL season started. I'm still watching Snapper Rocks at my own pace, very entertaining contest. 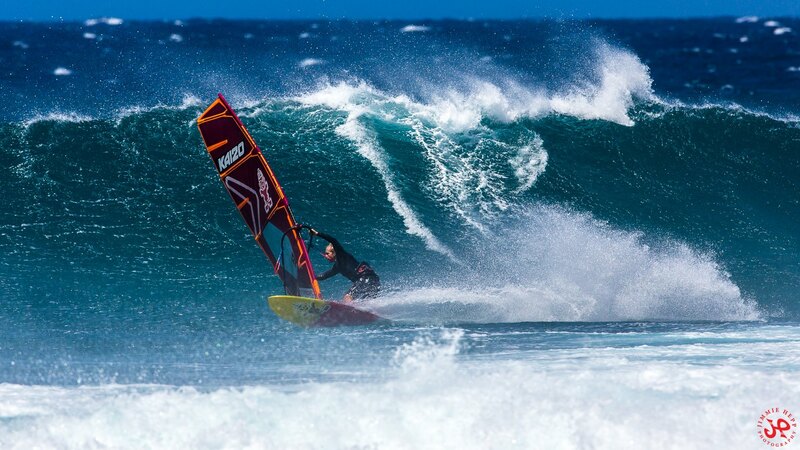 6.30am hookipa has relatively clean head and a half sets like the one in the photo. Windy but sideoff. Not an easy day, but 7.5 if you can handle. Yesterday I had two surf sessions, the second of which was absolutely delightful. By myself (which is always a huge plus), knee to waist high with occasional belly high bombs, very clean. 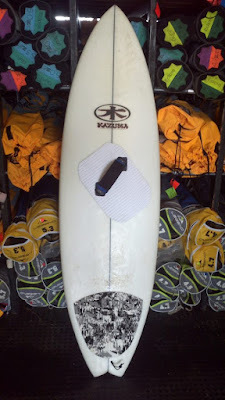 It might sound weird to some, but I absolutely love those conditions, specially at that spot and specially with my fantastic small wave board for which I also finally found a set of FCS fins that I dig. Small waves, big fins is what I figure out yesterday. I missed two potentially good sessions at the same spot in the previous days because I got influenced by someone else's ideas, reports and opinions. That taught me something very important: at least in Maui, I always need to follow my intuition and knowledge. 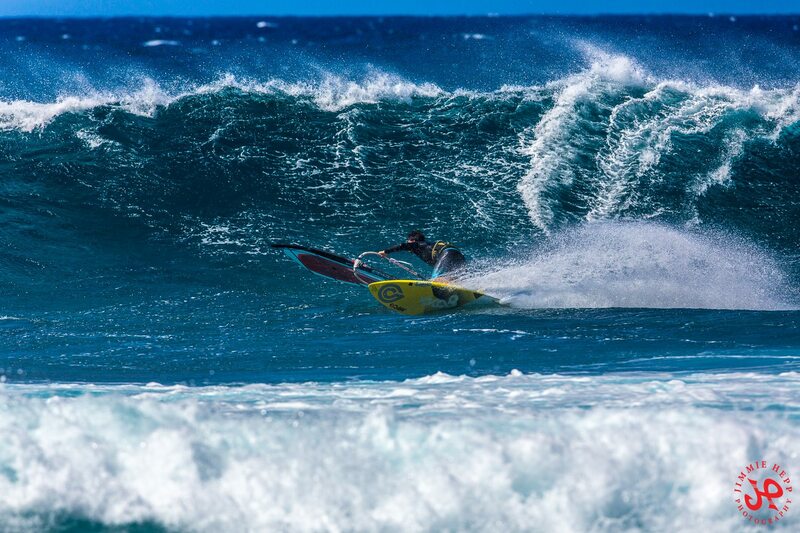 Action packed afternoon at Hookipa as usual, it's getting hard to pick the best photos by Jimmie Hepp, since there's a lot of great ones. Calling a 9 this week a week in advance, was a pretty easy task, honestly. This is the gallery of the day. This came up as a memory from 5 years ago on Facebook. Front foot strap was great when up and riding, but very uncomfortable while laying down on it. Also made my paddling very unstable. I even caught same waves paddling with a paddle on my side that I would grab as soon as I would stand up. Levi Siver (the guy doing the aerial over the barreling wave above) was cruising with a SUP at Thousand Peaks, saw me and said:"brah, that thing looks sick! What is it?". Yes, put me on a regular (as opposed to SUP) 6.2, with a footstrap and a paddle in my hands and I can manage to impress Levi. Too bad that the whole thing was too uncomfortable and complicated, so I let go of the experiment. Lanai still feeling plenty energy from the wrap. How did those waves get to Lahaina is a bit of a mystery. Below there's two pictures that show you how difficult is for them to get there, but straight lines are not a correct representation of reality. Waves refract around not only emerged lands, but also submerged ones too, as long as they are shallow enough (the longer the period, the deeper the waves will feel the bottom), so those angles I calculate are just an indication. Take this one for example. It seems that there is pretty much only one direction that will possible make it south of Ni'iahu, Oahu and Molokai and north of Lanai: 286, but in reality it's probably a range around that. Once they make it to the channel between Molokai and Lanai, that range is 283 to 290. Which makes me think that instead, in this particular case, they might have taken the route south of Lanai and refracted around its southern tip. Pretty easy to hit Ukumehame at that point (260 degrees), it requires a much sharper turn to hit Lahaina instead (230). This is to say that I have no idea of how they got there, but they got there. There also was a 2-3f 9s south swell (of which I couldn't find any fetches in the past days wind maps) to make the guessing even more challenging. But in the end, why guessing if there's webcams that show waves? And that's what I recommend to do also today. 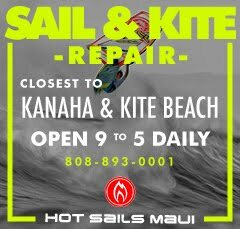 All of the above considerations have been added to the post Buoys to Maui travel times and Maui's shadow lines, which contains this kind of stuff of most Maui spots and swell directions. If I was a school teacher, I'd ask my students to learn everything written in it by heart. As soon as I wrote that the windswell is too east to bother Hookipa, here it is a reading from 65 that will definitely bother Hookipa... commentator curse. Below are the graphs of the three reported buoys. Today should see a slight decrease, but tomorrow a slight bump up. That is explained by Pat Caldwell with the following words:A long-lived area of surface low pressure near the dateline within 30-55°N latitude that set up 3/23 had a reinforcement low merge from the SW in on 3/25. A long, wide fetch of gales over the 305-325 degree band overtook existing seas, which maintained wave heights above 20 feet. The head of the fetch was about 1400 nm away 3/26. The system nosed to within 1200 nm 3/27 as the winds decreased and the low center shifted north. The winds were not as extreme as the previous system, so the dominant wave periods are expected to be short-lived in the 16-17 second band, but settle soon to the 13-15 second band and hold steady. The longest wave period are due Tuesday near sundown locally from 305-320 degrees. Surf should peak above average on Wednesday from 305-325 degrees. It should remain above average Thursday as it slowly declines. 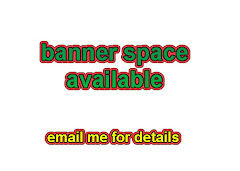 A new event is due Thursday evening. A repeat pattern of the japan-to-dateline, extratropical-cyclone express is expected 3/27-29 to bring a similar round of extra- large, or surf high enough for outer reefs, later in the week. 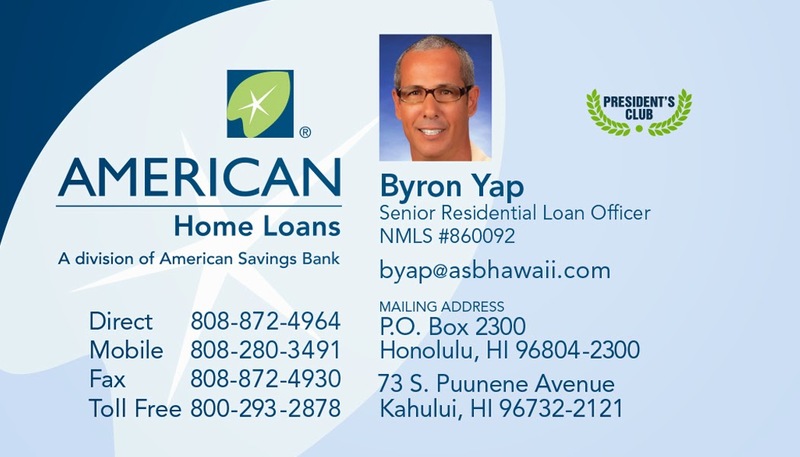 Don't forget that the timing of the arrival is for Oahu. Add 4 to 8 hours for Maui. MC2km maps stuck at Sunday, the HRW model on windguru below shows the usual strong easterly, but fortunately starting with a bit of ESE in the early morning. As a matter of fact, the Hookipa sensor reads 9 (4-17)mph from 108 at 6am and that's not bad at all. Worth waiting for the light to check it out for me. I'll post a beach report around 6.30. Current wind map pretty much only shows the WNW fetch of next swell. Once again, it's gonna be similar to the actual one, but it seems that the low will get closer to us. We'll see in the next few days. If you like chasing waves, yesterday was a great day for you. These are some of the spots I visited. 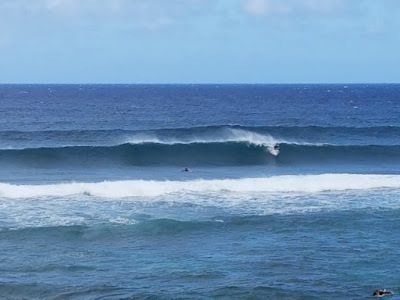 The WNW swell was wrapping almost everywhere, I heard even Honolua was shoulder high in the morning. 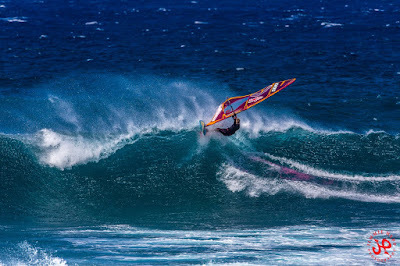 In the afternoon the windsurfers hit Hookipa and these are a couple of beautiful bottom turns captured by Jimmie Hepp in this gallery. Wrap still there (got actually bigger), check the webcams! Below is the graph of the three reported buoys. 10, 8 and 4 feet are the steady sizes we will see today with the period now down to 14-15s. The difference in size is due very partially to the loss of energy because of the traveling, and much more significantly because of the shadowing of the upstream islands. Lanai has one foot more than Pauwela, that should tell you how west this swell is. Notice also the directions at the two buoys I just mention: 277 and 312. And that's the same exact swell originally coming from around 290-295 and wrapping/refracting south and north of the Hawaiian islands. Fascinating. I put a red arrow on the direction graph of the NW101 buoy, to show how that didn't change much either, so more of the same today. Hookipa should still be well overhead but smaller than yesterday, hopefully I'll be able to do a beach report and be more precise. In lack of the MC2km maps (not updated yet at the time of this call, check them out later), here's the HWR model prediction for today from the Windguru page. Another strong easterly wind day. 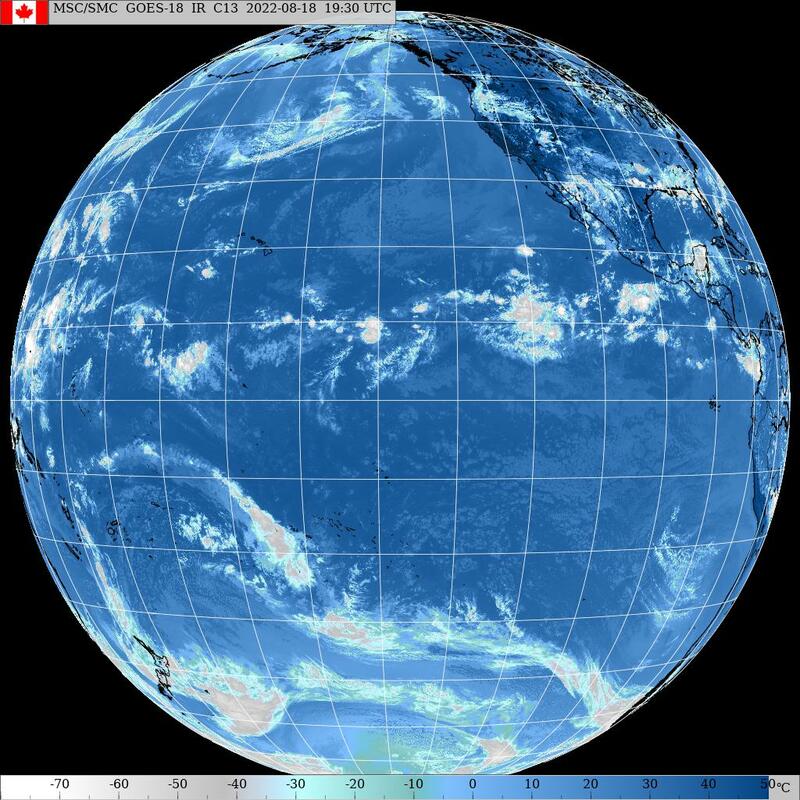 4.30am satellite shows mostly sunny again. 1) a newly formed westerly fetch. Just like the fetch that made the swell we have on tap today, this one also starts in front of the Southern half of Japan. So, expect similar direction for the first days of the swell which is forecasted by Surfline to peak at 12f 16s at 8pm on Friday. 3) narrow windswell fetch. One good thing about the strong easterly trades we've had and we will keep having, is that at least they don't make as big of a windswell as the usual ENE trades. 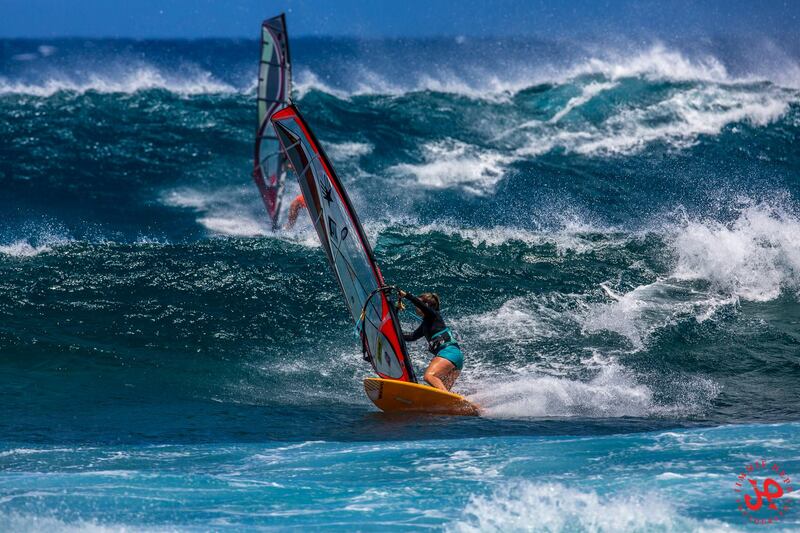 I mean, they do, but it doesn't hit Hookipa as much. 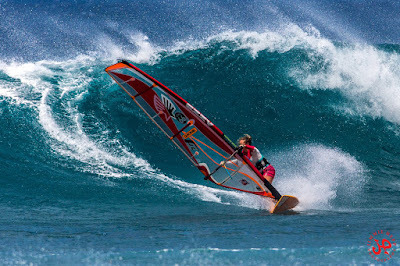 Check Pauwela: 4f 8s from 88 will travel offshore of the recognized world windsurfing Mecca. You can always call it like that, but more so these days, with all those pro's out shredding the waves to pieces in front of the photogs lenses. Fun to watch, that's for sure. 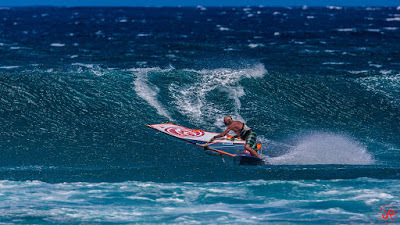 Sunrise and sunset surf session logged yesterday, as predicted the new WNW swell showed some inconsistent sets in the late afternoon at Hookipa. They were clearly visible in the middle of the old swell since there was almost 10s difference in the period and often you could see them overlapping and taking over the slower waves due to their higher speed. The afternoon offered cracking (in all meanings of the word) conditions. This is a photo by Jimmie Hepp from this gallery. No idea of where the 3f 9s come from, the 2.6f 18s is the wrap of the WNW swell, so Kihei will have some waves. Not sure about Lahaina, but there's the webcam for that. Below is the graph of the three reported buoys. I put an arrow to indicate when the swell seems to have peaked at the first one and another to indicate where it should peak in Maui (early morning). 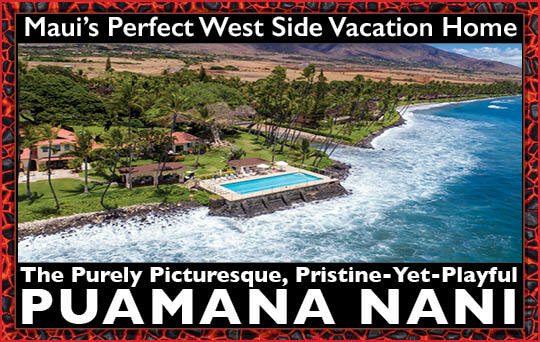 The huge difference between Waimea and Pauwela is due to the westerly direction of the swell. Most of the energy of this swell is unfortunately being blocked by the upstream islands for us. 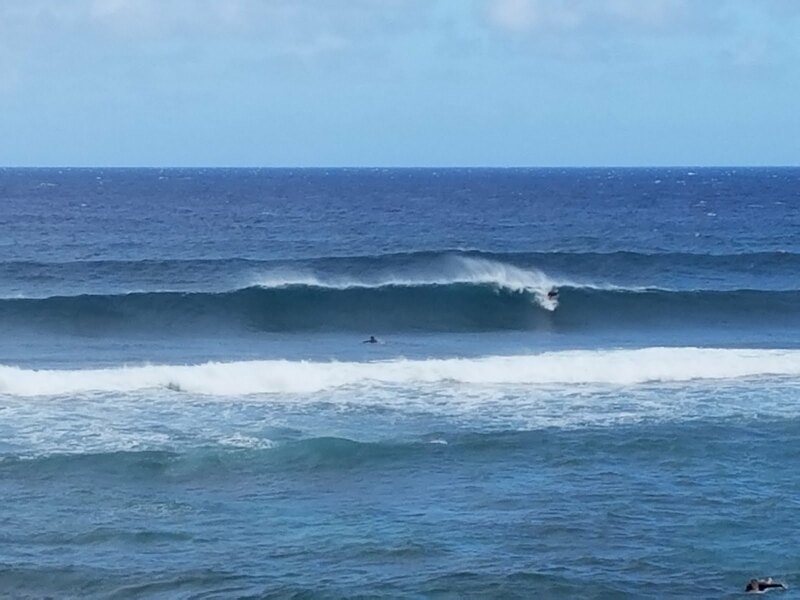 Hookipa will have inconsistent overhead sets, but I would recommend to check the Pipeline cam if you want to see some solid size (probably too big to surf). The problem on the north shore will be the wind, as the Hookipa sensor is already reading 16 (9-24)mph from 78 at 5am. Not sure I'll be able to post a beach report, as I might leave in the dark seeking for suitable spots. Below is the collage of the wind maps from March 21 to 25. As you can see, the first two days the fetch was in front of the southern half of Japan and that's why we're not getting much. Only on the 23rd it started moving a bit NE and most likely we're gonna see less blockage and more size in the final stages of this swell. MC2km maps not updated yet, check them later. This is the windguru 10 days table, today should be another very windy day. Maui not disappointing the windsurfing brands for their photoshoots this year. Next Sunday gonna be very windy as well and liver flush it will be. Some clouds, but it should be a beautiful day again. 1) the usual NW fetch. This is going to be a common vision for the whole week. 7am hookipa has waves up to head high, wind is light. 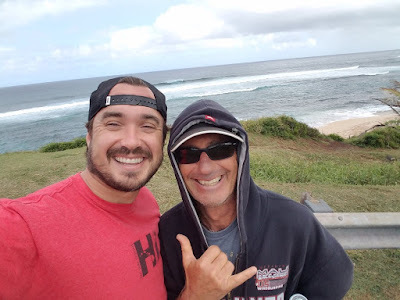 Yesterday morning I contributed to the happiness of a fellow surfer by taking him out for his first time at Hookipa. As the photo below shows, there were some solid head high sets (the word solid denotes mostly head high, but with some occasional bigger ones). The day was perfect for his abilities, the size was definitely pushing his limits, but the low crowd due to light rain, wind and clouds was a key facilitating factor. I explained him how the current works, how and when to use the channels, and had him catch a wave at each single sub-break, with the exception of Pavillions which of course was too crowded to bother. His last wave was a really steep head and a half bomb at middles, he set up a super low Waimea style stance and stuck the drop. He was overly stoked. Here's what he wrote in an email last night:" Thanks again, couldn't stop smiling, had a blast and so stoked finally surfed Ho'okipa!!" To which I reply: thank YOU brother Justin, your smiles and stoke set me on a high for the rest of the day. I'll see you next time. Later on the windsurfers hit the water and the conditions were excellent (if you like strong wind). 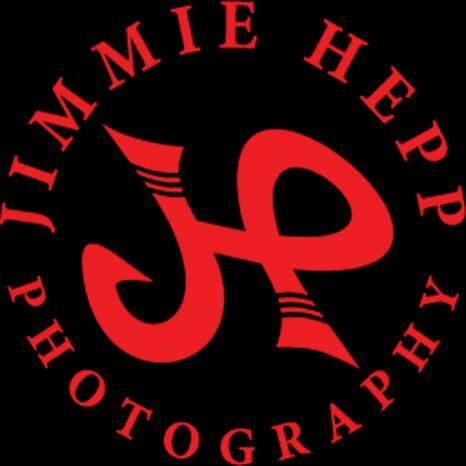 So good that I had to grab two photos from this gallery by Jimmie Hepp. Lahaina side was waist high yesterday, check the webcams for today's size. New massive swell on the rise today, let's dig into the analysis of the buoys. Below is the graph of NW101, Waimea and Pauwela. The first two are the only ones that are feeling the new swell. Hanalei still doesn't report them, but I can guarantee you it's there. Waimea is one of the most sensitive buoys, or at least one of the most protected by other swells, so it's the one that is able to feel low long period energy the best. The double arrow on the NW101 graph indicated a sharp rise from 1 to 5 feet from 9pm yesterday to 5am this morning. 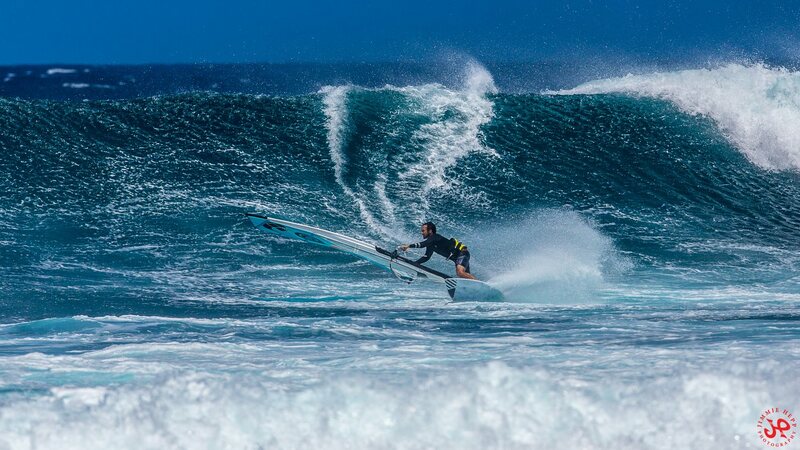 Waimea's steepness is not up yet, but that's because it hasn't even reached one foot yet. Soon it will and soon it should start ramping up similarly. By applying GP's rule of thumb for the travel time from the NW buoys to Maui (16h @ 16s +/-1), at 20s a swell takes 12h to get here and I drew a dotted red line accordingly. But with an original direction of 283, the shadow from the upstream islands will be significant. So guessing the size is a bit of a gamble, but there should be fairly big sets by sunset. 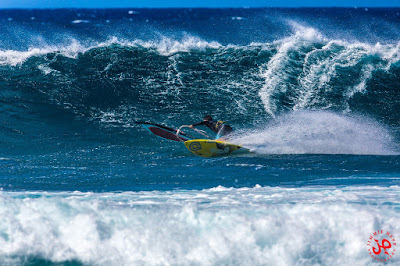 A reader asked in a comment if the swell is going to hit Kihei, Lahaina and Honolua. The answer to the first one is yes, to the second one is maybe (if it squeezes south of Molokai and north of Lanai, and to the last one is probably not, even though I wouldn't be surprised is someone reports inconsistent sets at sunset. Keep an eye on buoys and webcams. As far as this morning goes, 3f 12s will provide similar size to yesterday morning, so it should still be up head high. Stay tuned for the beach report, which I should post around 7am, but I'm taking it easy this morning. 6.30am reading of the Hookipa wind sensor is 8(4-14)mph from 91, could (and will) be worse. MC2km map at noon shows strong easterly trades. Should be a cracking day for windsurfing in the late afternoon. The weather has always been one of the top five things I like about Maui. Today should be no exception. Current wind map still shows the wide fetch associated with the swell we will receive today. It's gonna be another long lasting one. And also today there's a massively long fetch down under shooting at central/south America of which we'll get the angular spreading. PS. Thanks a lot to blog reader Fernando who found another webcam for the Ohukai area in north Kihei. I updated the list. PPS. 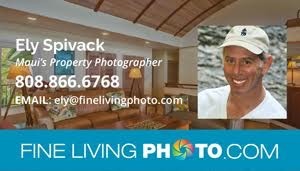 Thanks to Jason who pointed me to this awesome video analysis by a guy called Gary Kewley in Oahu. The only thing I don't like is that he often uses the Hawaiian scale, which I consider extremely confusing. Things like "4f 20s at Sunset can be 10 feet" or 11f 16s at Jaws will magnified 2.5 times and so at least 30 feet (faces) which we call 18f Hawaiian. Why introduce another conversion scale is a mistery for me, but the good news is that I will have plenty practice opportunity before leaving for me trip on April 4th. Check it out. 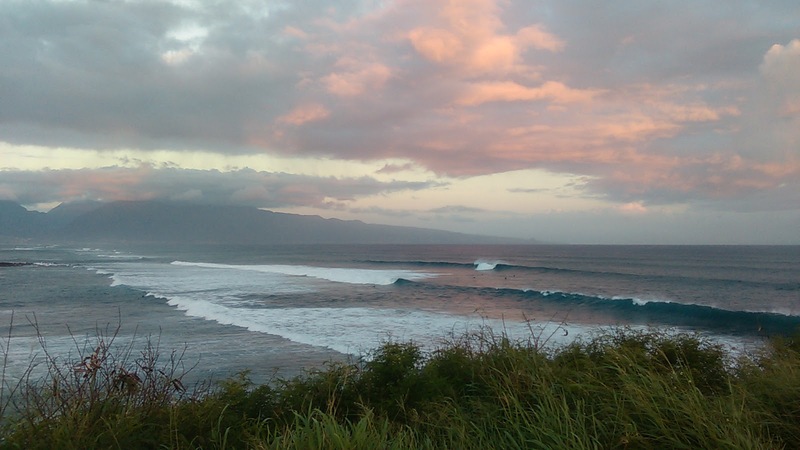 6.30am hookipa is small and onshore. Stay home.